KNOXVILLE, TN — As the dust settles down from the historic community uproar over the school boards initial decision to defund Project Grad, restoration and recognition of the 18-year old program continues to grow. Mayor Tim Butchett offered funding in his budget to cover the million dollars cut by the board. The Knox County commission will vote on his offer this week. The deal will cover the coming school year, effective July 1st. As part of the deal, the school board on June 13th, voted to put back in their budget, 538k to for the magnet and gifted and talented programs. The commission will vote to restore the funds for Grad initially removed by the board. 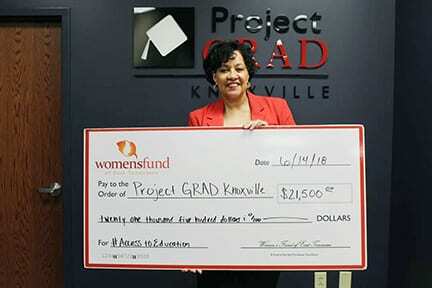 Project Grad has also received recognition and honor from other groups and organizations including a prestigious grant from the Women’s Fund of East Tennessee; another testament to the importance of the program in the lives of the children of Knoxville.